Laser acupuncture is primarily used to serve two purposes: an anesthetic effect and the stimulation of acupuncture points in a therapeutic program. The procedure has some distinct advantages over the traditional needle method. Many patients who are usually afraid of needles, such as children, prefer laser acupuncture. Use of а laser makes it а typically noninvasive, aseptic procedure, which significantly reduces the pain and recovery time associated with invasive treatments. Generally, laser acupuncture can treat the same range of complaints as needle acupuncture. Laser Acupuncture can easily be used for pain management and the relief of pain and stiffness associated with muscles, joints, knee pain, arthritis, carpal tunnel syndrome, tennis elbow, headaches, fibromyalgia, back, and neck and shoulder pain. • Commonly used for treatment of acupuncture/acupressure points on the body and ear points (called auricular therapy), myofacial points and trigger points. While laser acupuncture significantly reduces patient trauma, and is usually a good choice for treating conditions where the risk of cross infection is high, the effectiveness of this treatment is often limited to peripheral points. The acupressure points on a patient’s hands, feet, and ears often respond to laser acupuncture. Deeper abdominal points do not usually benefit from the treatment, as most of the laser beams used cannot penetrate beyond 0.19 inches (5 mm). Laser Acupuncture can easily be used for pain management and the relief of pain and stiffness associated with muscles, joints, knee pain, arthritis, carpal tunnel syndrome, tennis elbow, headaches, fibromyalgia, back, neck and shoulder pain. What Laser Acupuncture Machines Do I need To Begin? 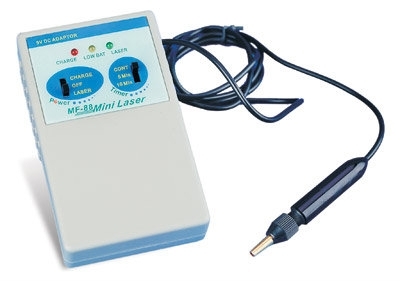 The Laser Acupuncture Pen is the easiest and the most cost effective way to get started with Laser Acupuncture. If you are starting a treatment center you can perform laser acupuncture that will need the need of over 90% of the clients that will need your service. As your practice grows you can move up to one of the more advanced models of Laser Acupuncture Equipment. 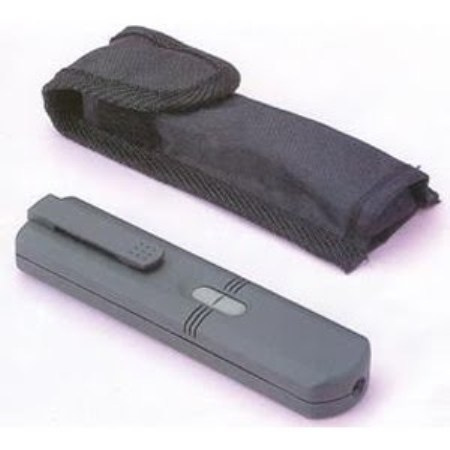 For home users the Laser Acupuncture Pen will most likely be the only piece of Laser Acupuncture Equipment that you will ever need. Additionally you should have at least a good Auricular (Ear) Chart and a good Hand Chart. You will find these in our acupuncture chart section the more skilled you are in acupuncture the faster you can expect to receive effective results. If you will focus your attention on learning the acupoints on the ear and the hand you should progress rather quickly as these methods are not hard to learn and provide good results. I want stress that nothing will take the place of the care of a good professional. We do not recommend that anyone untrained in acupuncture provide self-treatment without the proper professional supervision.